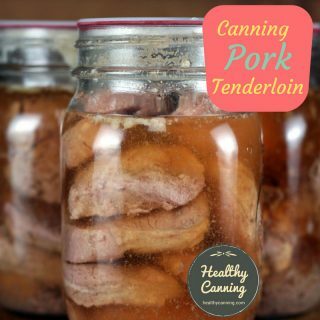 Water bath processing is a processing method used in home canning for high acid foods. 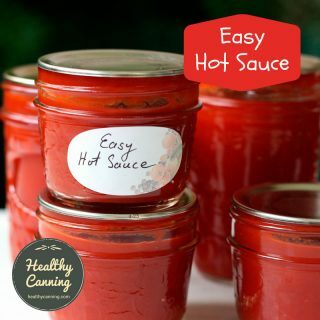 Jars are filled with food, sealed loosely with a lid, then boiled completely covered in vigorously boiling water for a prescribed amount of time indicated by the tested recipe you are using. High-acid foods are items such as jams, jellies, most fruits, pickles, relishes, chutneys, salsas, and tomato products with added acid. 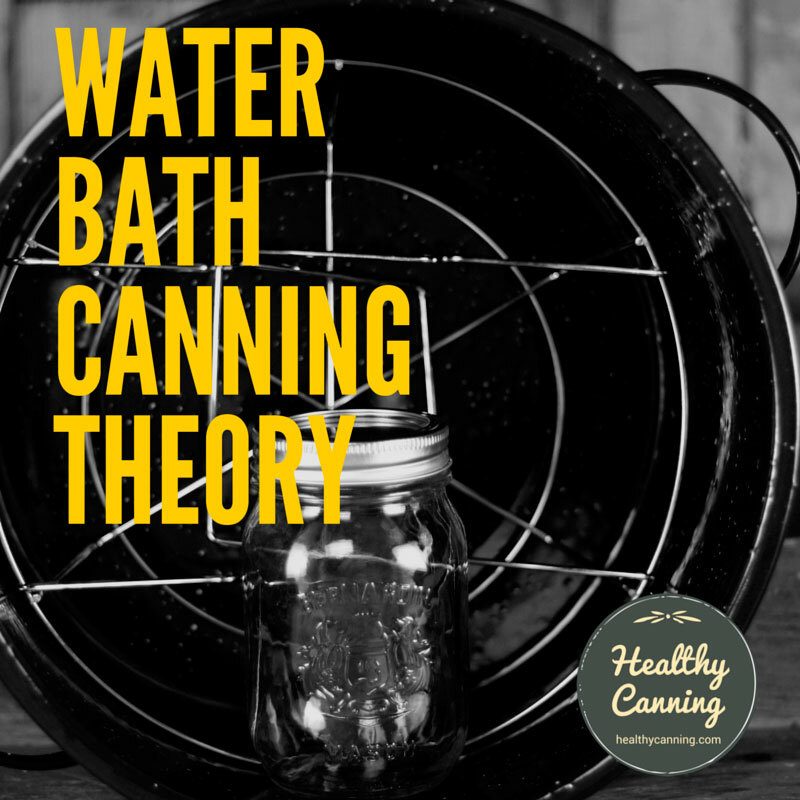 If you want to understand the reasons behind all the steps, please see Water Bath Canning Theory. 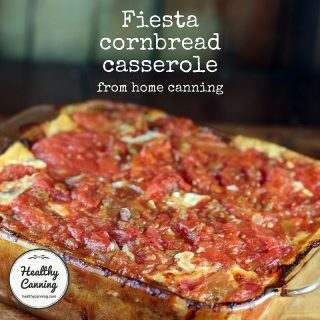 If you are new to home canning and have not purchased a water bath canner yet, Health Canning recommends that you consider steam canning instead for your high-acid foods. It has been approved as an equivalent to water bath canning, and saves time, energy, water, and money. 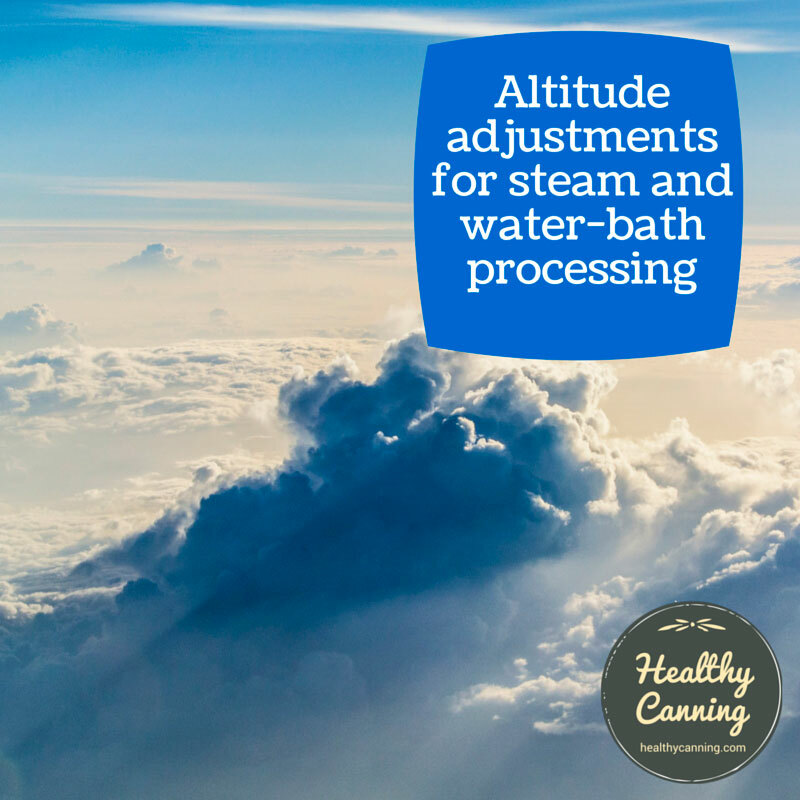 Before you start, check your recipe for the water bath processing time. 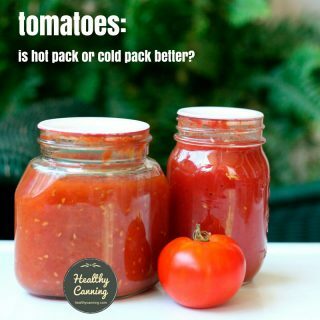 If the recipe calls for a processing time of less than 5 minutes, you must sterilize your jars and lids. 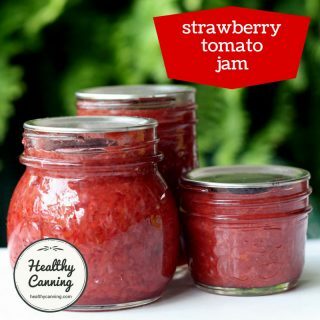 If the processing time is 10 minutes or longer, research has now shown that sterilizing them is a waste of time and energy — just wash the jars. Even if the jars are brand new, you’ll want to get broken glass dust, mouse turds (sic), etc., from the factory and warehouses off them. Whatever you do, do not boil the lids. 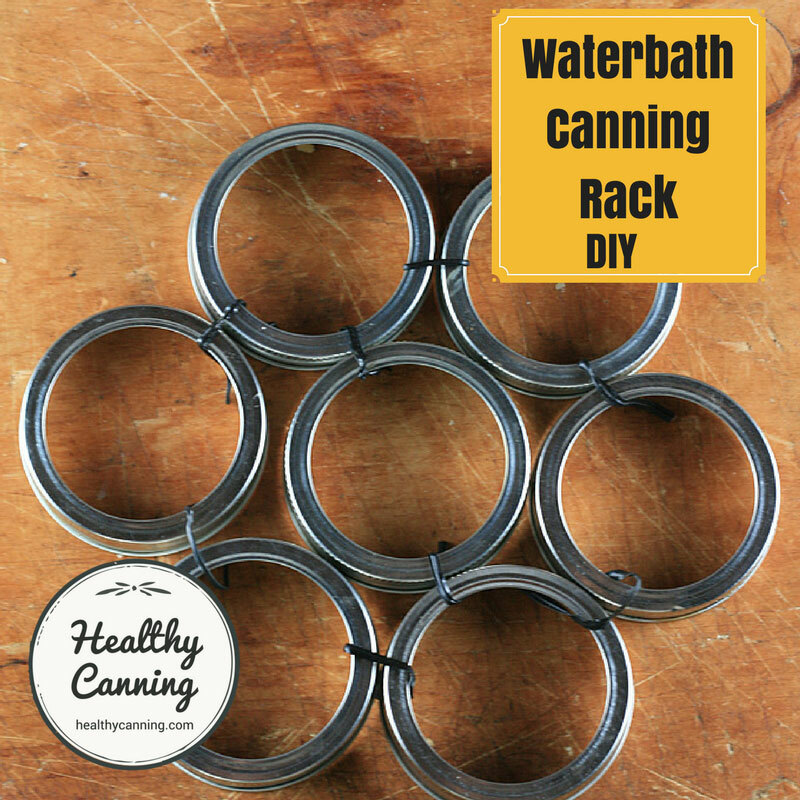 FYI, the screw band canning rings do not need and never needed sterilization as they never touch the food. 5 minutes at the end for the jars to rest in the pot with the heat and cover off. 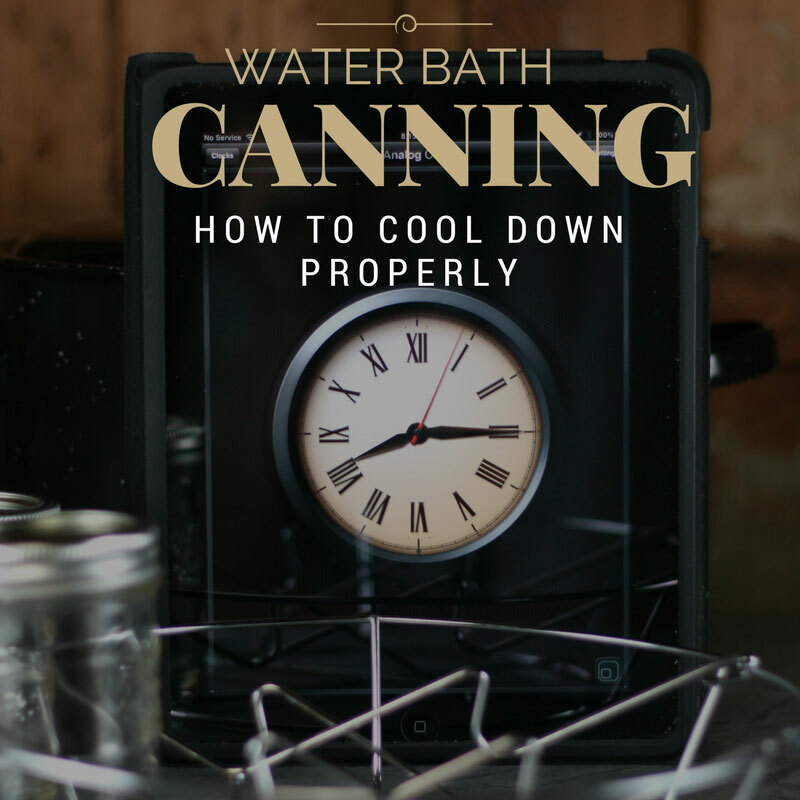 For your first few times using your water bath canner, it’s best to have a kettle of boiling water standing by for quick top-ups as you learn over time how to judge the water it wants. In fact, even old hands find that when water bathing, you never regret having a spare kettle of boiled water handy: there will be times you need it in a hurry. 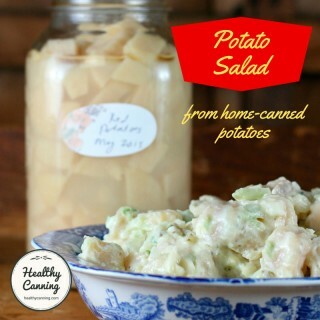 You can use smaller size jars than indicated, but never larger size jars than indicated. 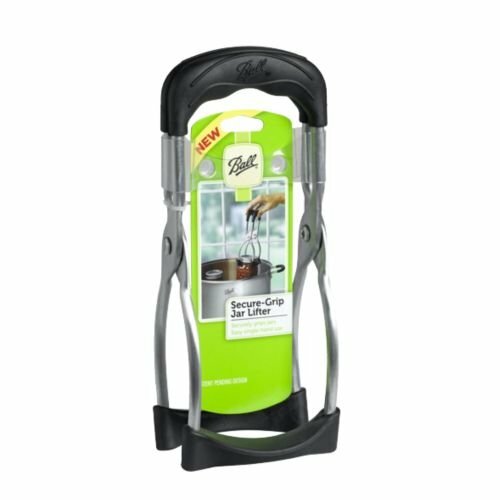 Process smaller jars for the same time as indicated for the larger jars called for, unless separate times for the smaller sizes are given. Reminder: only high-acid (aka low pH) food products can be water bathed. Wipe the jars down; label and date jars, store in a cool dark place with the screw bands off. If you follow the steps above, your water-bathed food products will be 120% safe and of superb, long-lasting quality. The process is founded on research-based science with loads of margin for error built in to cover the variables of daily life. 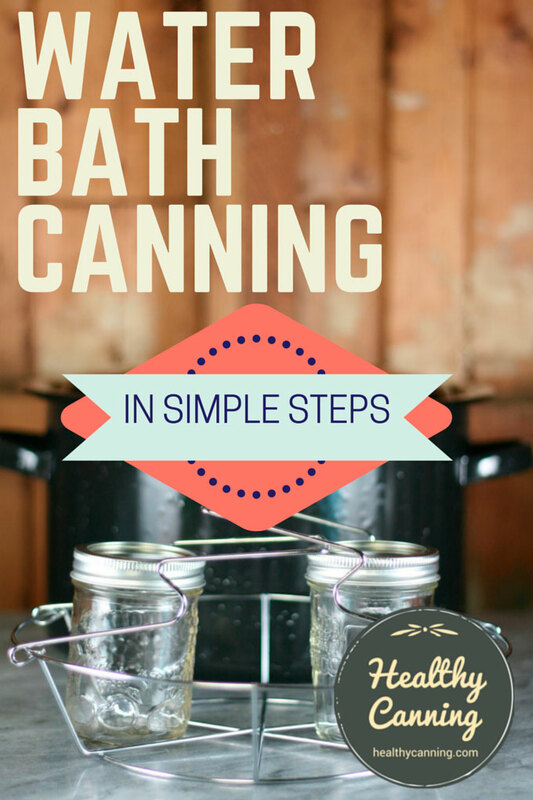 See also our summary of the reasons behind these water bath canning steps. Andress, Elizabeth. 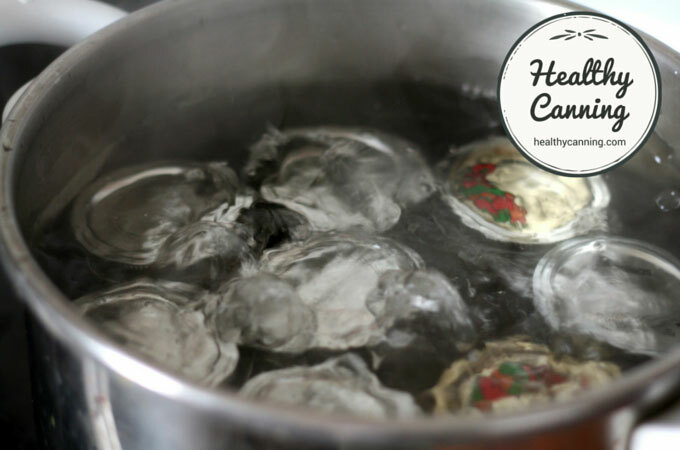 Preserving Food: Using Boiling Water Canners. Athens, GA: University of Georgia, Cooperative Extension. June 2011.